Then know that they need their father as much. 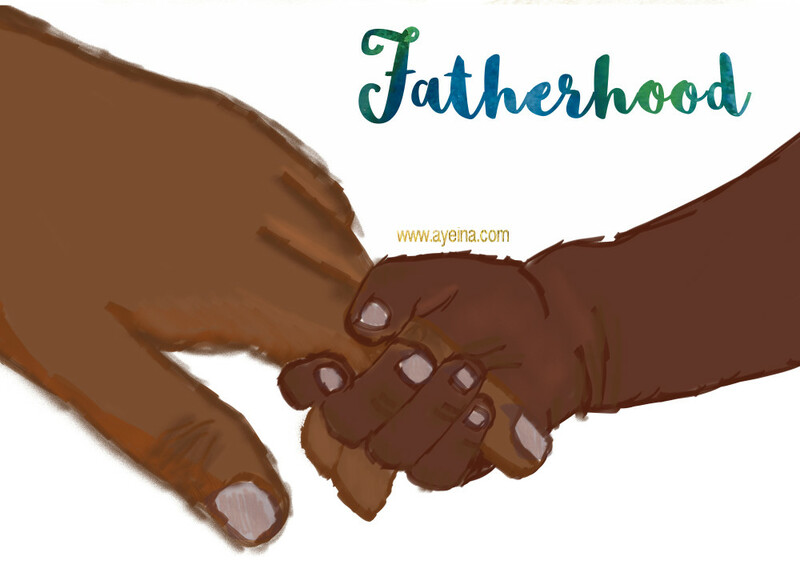 Because a father isn’t just an ATM. He makes money but money doesn’t make him. He’s a human being with all the emotions a mother can feel. And even though money is a big asset, you know what’s your biggest asset? It’s your time and energy and even more so, your emotions! Your feelings. Children can’t see feelings in money. No matter how hard you work outside home, they don’t see that and hence never really realize. They see feelings in your actions. Day to day things that you do for them. By being there for them. Your bringing money home makes motherhood relatively easy but we want kids to love you as much as they love us. For all the right reasons. All these reasons are real and valid indeed but there’s always a first time for everything. And even though they can be downright intimidating just like they were for your wife too, they are the tiny ways to build the road to emotions with your child. They should not only come to you when they need money or a toy from the store, they should come to you addressing their dreams/their concerns. They don’t need just one crutch to walk. They’ll keep stumbling that way. They need you also to help them walk through life. And those intimidating things that you’ve never done before are what that makes you that strong crutch. I say most because there are men out there who are deep into parenthood. I am thankful for a husband who’s not only an active father, but also makes motherhood easy for me. But I still see so many men who are ashamed of doing so-called “motherly” duties and they don’t feel manly being such parent. To those I say, becoming a father is a manly biology but delivering fatherhood is actual manliness. Take beautiful examples of Prophet Ibrahim, Ya’qub, Nuh, Lut (عليهم السلام) and Muhammad (صلى الله عليه و سلم). They all in their own way, put the ‘man’ in MANLY. *The post also appeared on ‘Mamapedia’, ‘Sammiches and Psych meds’, ‘The Good Men Project’ and ‘Everything for Dads’.